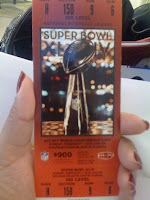 Last year I went to Super Bowl XLIV, and I saw my Indianapolis Colts lose to the New Orleans Saints. Have you ever been to a Super Bowl? It's a big football festival with skills challenges, a ride, and plenty of photo opportunities. Oh, yeah. There's a football game too. 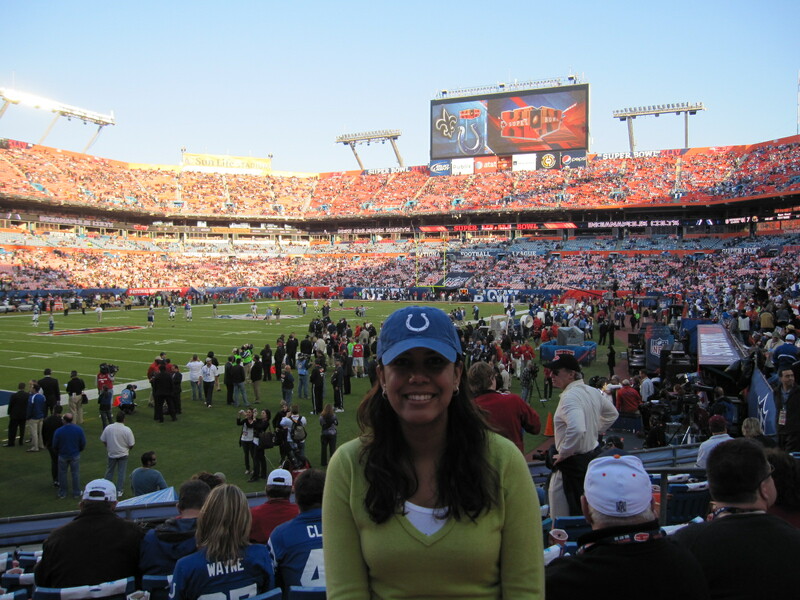 I watched the most recent Super Bowl and never lost faith that the Colts would pull out a victory. In the 4th quarter, I had returned to the top of my section, just in time, to see my Colts' Super Bowl dreams get shattered. 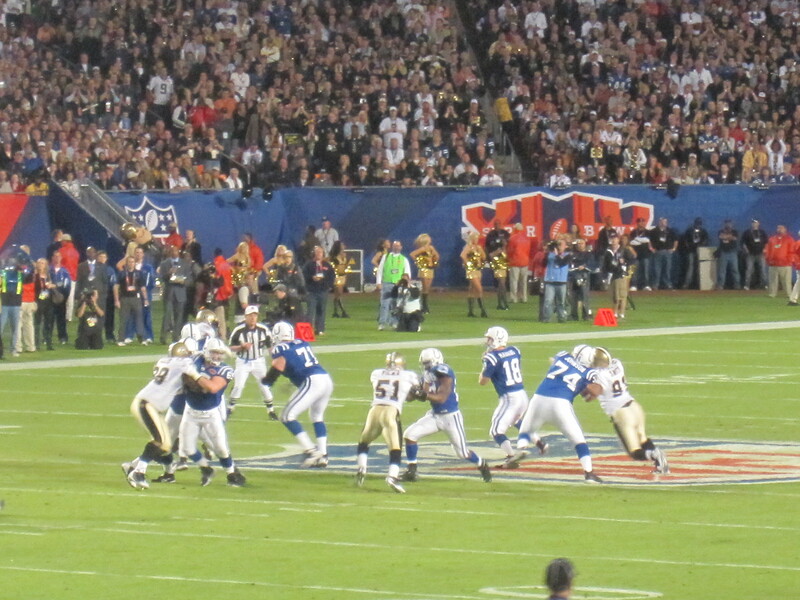 Peyton Manning's pass was intercepted by Tracy Porter. 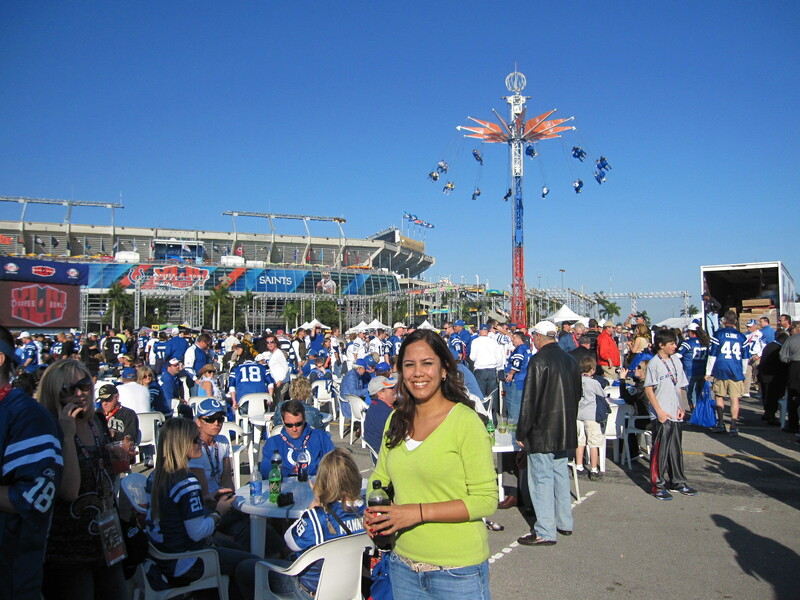 Are you a Colts' fan? Want to relive this nightmare? Here you go. I found this video on Youtube. With the Colts' pitiful (i.e. relatively speaking compared to previous years) record this season, I doubt that I'll see the Colts in the playoffs much less Super Bowl XLV this February. **** Well if the Colts are there, they'll be like me (i.e. sitting in the stands at the new Dallas Cowboys Stadium). 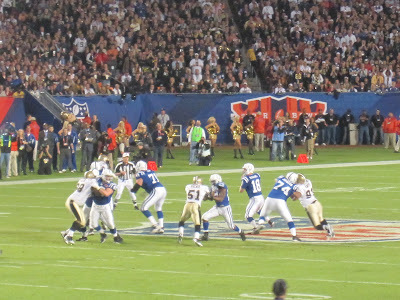 For the 2nd week in a row, I've watched Peyton Manning throw 4 interceptions a game. 4 INTERCEPTIONS A GAME?!?! Are you kidding me? Now I know he hasn't always had his regular supporting cast (i.e. the Colts' have been plagued with injuries), but COME ON. I'm going to continue to root for Manning and his Colts, but for the rest of the season I'm just going to have to appreciate the sport and games for what they are. I hope the playoffs and Super Bowl produce compelling match-ups. 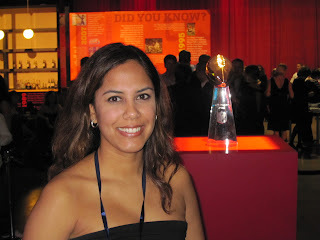 Even if the Colts are done after the regular season, there is still a lot of football that this girl can cover.